I'm pleased to present to you the mod I've been working on for over two years. 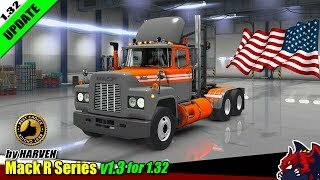 But don't be affraid or discouraged, it doesn't take that long to make a truck mod ;). I've been working on many other projects in the meantime. 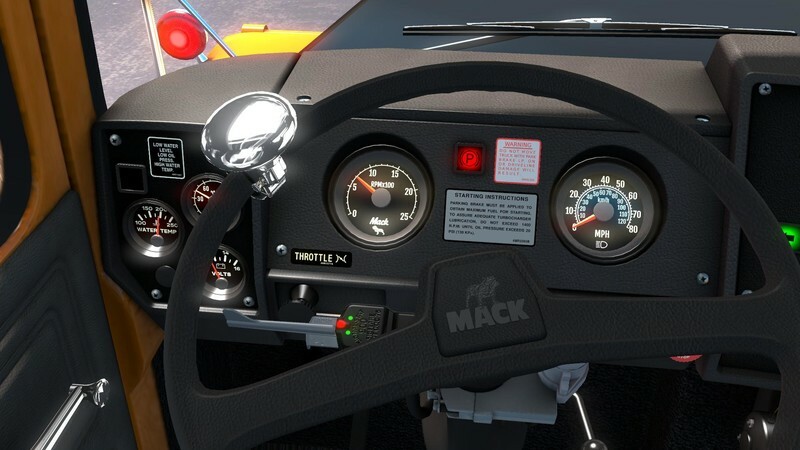 To the point: It's finally here - the Mack R series truck. 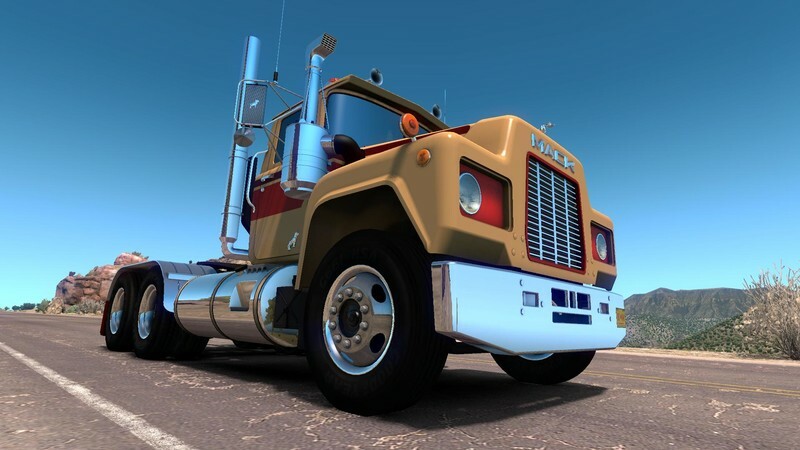 The model dimensions are based on specs from late 70, so are engines and transmissions, therefore don't expect high performance from this oldie. She will pull but you have to be patience and work together with her ;). At the end of the job you will feel the joy of accomplishment! (if you manage to get in time ;)). 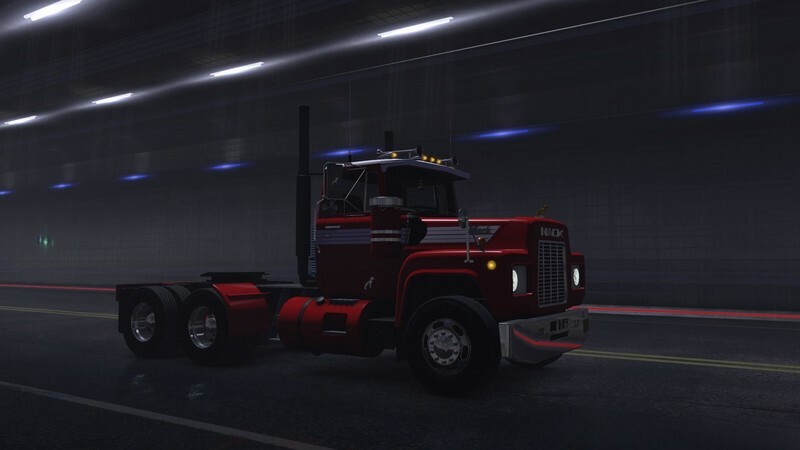 Since this is the premiere of the mod there is a moderate amount of parts to customize. I plan on adding much more with future updates but please be patience, this is not the only mod I'm working on/maintaining. 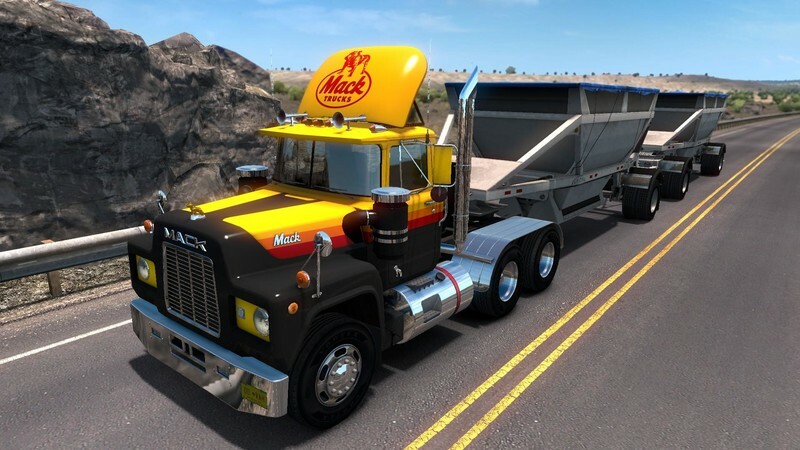 The mod name is Mack R (and not R600) because in the future I will add R700 hood and parts. I will not reveal all planed features yet so that if for some reason I will be unable to add given feature you will not be disappointed ;). 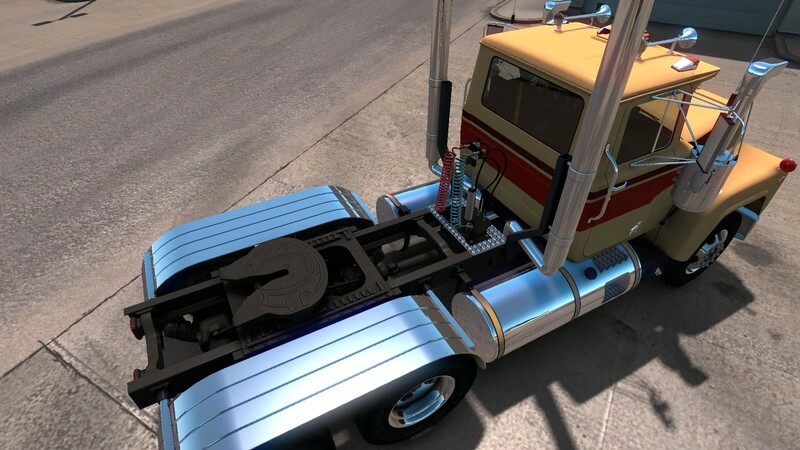 Instead I can list things I will not add for sure: 1000+hp engines, modern engines, modern transmissions, more than tri-axle chassis, UK cab variant, lowered chassis, "chipped" engines... you can see where it's going. I want to keep this truck true to real life original. - Small adjustments to 5th wheel.